PEN Canada’s Writers in Exile Program was created to provide solidarity and support for writers, journalists, poets, editors, translators, essayists, and playwrights who have been forced to leave countries in which their freedom of expression was not protected. PEN, in partnership with The Writers’ Union of Canada, has produced a series exploring the lives of some of these writers. In this column, Ava Homa reflects on the hurdles she has faced as a Kurdish writer in Iran and Canada, and the love of writing that has given her the strength to overcome them. Every time I looked at the weals carved onto my father’s back, I felt as though a cold sliver had pierced my stomach. But I never talked about it. The horror he had lived in the nefarious Evin prison was unspeakable, and so was the pain I felt when I watched him carry the visible and invisible injuries, staggering and stumbling through a healing process that never ended, or perhaps never really started. Mother simply could not come to terms with the stranger that had walked out from behind the bars, who had nothing in common with the freedom-dreamer he was before he was tortured. I grew up in Sanandaj, a city located on the eastern edge of the broad belt of mountains that separates Iran and Iraq; though the territory is now controlled by Iran, it is part of the traditional homeland of the Kurds, Kurdistan, which runs all through those mountains in an arc north and west, ending only midway through Turkey. Today Kurds are known as the largest ethnic group in the world without a state of their own; the land we called home for thousands of years is now divided between Iran, Iraq, Syria, and Turkey. The governments of the nations in which we found ourselves still see us as outsiders, a threat to be dealt with, sometimes by intimidation and harassment, sometimes by bombings, hangings, and gassings. Seeking means to deal with such geopolitical and domestic tyranny, I found a salve and a shelter called literature. From an early age, escaping into story books, making up my own tales, and reciting poetry allowed me to imagine a kinder world — in spite of the odds. I majored in English and, as a graduate student in Iran, I began to find my voice as a writer. My fiction writing instructors encouraged me to send out some of my stories for publication in Iranian literary magazines. But the forbidden topics of women’s rights and the political situation meant that my work was to be censored. Around the same time, the newspaper I had been contributing to was shut down and the editor and many more were arrested. I left school and stopped publishing my writing. Looking up Canadian universities became my daily escape after I graduated. I was teaching English at a university where the clothes I wore, books I taught, and words I spoke were closely monitored. It became obvious to me that staying in Iran would eventually bring the destiny of my father upon myself and the generation after me. Even though chasms have yawned between us, I have always felt close to my father, close enough to feel the whip lashes on my own back, to see how his imprisonment trapped me too. But, what could I do? Applying for refugee status meant an illegal escape through the mountains, meant years of waiting for the United Nations to decide whether to accept a case that did not include physical torture and, if accepted, another indeterminate amount of time to wait for a country to admit me. I would be on my own, a vulnerable woman who had learned to view men as predators. When the government of Iran became too busy closing down more papers and arresting journalists to pay attention to minor insurrectionists like me, I returned to school to catch up with my studies, still searching for a way to get out before it was too late. Looking up Canadian universities became my daily escape after I graduated. I was teaching English at a university where the clothes I wore, books I taught, and words I spoke were closely monitored. 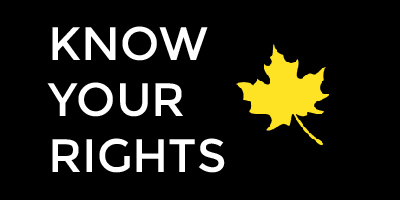 I needed peace, freedom, and safety and Canada could provide that, a country known for being relatively more accepting of newcomers than many others. I thought I could deal with the harsh weather of Canada better than the harsh treatments I was likely to receive as a “brown” woman in other Western countries. Although I made my selection mostly based on assumptions and generalizations, I am glad I chose Canada. I love this country and its people. Thus, fed up with my situation and dismayed by my future, I applied to Windsor University, despite the super slow and expensive dial-up internet and heavily filtered web, and received admission as well as a scholarship and an assistantship. I condensed my life into two suitcases and bid farewell to my land and people. On departure, I left behind a part of me, a small but significant part of my being and my identity. In August 2007, I posed as an international student and entered Canada to get another Master’s Degree, this time in Creative Writing; at heart, I was an asylum-seeker. Later I found out that, because of my age, work experience, language fluency, and education, I was qualified to apply for residency in Canada as a “skilled worker.” Little did I know how hard it would be to find a job in Canada! When I look at the future, I have to admit that I have no idea if the Canadian publishing industry has any room for me and my like, if claiming difference is a source of excitement or alienation, if the industry sees me as a “contributor to the diversity of CanLit” as advertised or just another foreigner to be shunned. At the University of Windsor I began to write and publish freely once more. Writing in my third language has been like climbing a mountain with crutches: it’s slow, painful, and difficult — my armpits are bruised — but I grow in this journey. Learning to speak and write fluently in English is a never-ending project, one that has taken up a tremendous amount of time, determination, and expenditure, it’s an hourly struggle. Still there have been successes. The stories that were suppressed in Iran were published by TSARbooks in 2010 in a collection called Echoes from the Other Land. The book was nominated for the 2011 Frank O’Connor International Short Story Award. Since then, I’ve published in the Windsor Review, Toronto Quarterly, Literary Review of Canada, Rabble, the Toronto Star, and others. In August 2013, I completed a three-month residency at Joy Kogawa House in B.C. where I got to focus on the manuscript of a historic novel called Many Cunning Passages that I had been working on for over three years. These days, I am writing the memoir of a Kurdish woman: an extraordinary odyssey winding through the tortured streets of Sanandaj as it is bombarded by the Iranian army, four years in prison, a desperate journey across the Turkish frontier and to the UN office in Ankara, and finally, her arrival in Toronto and the discovery of a career as a refugee activist helping those who, like her, have fled violence and intolerable conditions in their homelands. Doing anything that comes my way, including part-time teaching at George Brown College, tutoring, freelancing, translating (English-Farsi), I pay my bills and when that’s done, I write and I read voraciously. When I look at the future, I have to admit that I have no idea if the Canadian publishing industry has any room for me and my like, if claiming difference is a source of excitement or alienation, if the industry sees me as a “contributor to the diversity of CanLit” as advertised or just another foreigner to be shunned. What I do know is that writing was my friend when I had no other and it is still my best friend. I am hooked on the joy of writing and will continue to write for writing’s sake. This piece was originally published in the Fall 2013 issue of Write: The magazine of The Writers’ Union of Canada. Ava Homa is a writer, freelancer, teacher and translator. She has a Master’s Degree in English and Creative Writing from University of Windsor and teaches Communication at George Brown College. Photo credits: Headshot by the Kurdistan Tribune. 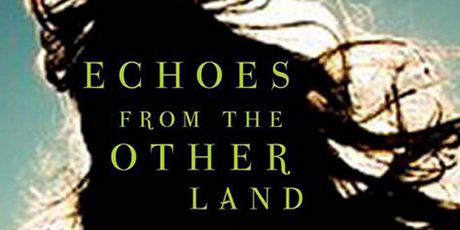 Echoes from the Other Land book cover by TSAR Books.